The CAFC has issued an Order vacating its April 20, 2015 opinion in In re Tam, Appeal No. 2014-1203, in which it affirmed the TTAB's ruling that the mark THE SLANTS is derogatory of persons of Asian descent, in violation of Section 2(a) of the Lanham Act. [TTABlogged here]. The CAFC sua sponte ordered that the appeal be reinstated and be considered by the court en banc. In re Tam, 114 USPQ2d 1469 (Fed. Cir. 2015). The court's Order follows on Circuit Judge Kimberly A. Moore's inclusion of "additional views" in the CAFC's original opinion, concerning the constitutionality of Section 2(a), in which she urged that the court re-visit the CCPA's 1981 decision in In re McGinley in view of the subsequent evolution of First Amendment jurisprudence. The court's Order requests that the parties file new briefs addressing the following question: "Does the bar on registration of disparaging marks in 15 U.S.C. § 1052(a) violate the First Amendment?" The court indicated that amicus briefs will be entertained and may be filed without consent and leave of court. Asking a bunch of trademark lawyers to argue whether the Lanham Act violates the 1st Amendment is scary. Asking a bunch of constitutional lawyers to argue why the Lanham Act is unconstitutional is likely produce a result no trademark lawyer wants. Regardless, sounds like they will ultimately be asking the Supremes to opine on the Lanham Act and every time the Supremes do so, they create a lot more problems than they solve. No trademark by which the goods of the applicant may be distinguished from the goods of others hall be refused registration on the principal register on account of its nature unless it—(a) Consists of or comprises immoral, deceptive, or scandalous matter; or matter which may disparage or falsely suggest a connection with persons, living or dead, institutions, beliefs, or national symbols, or bring them into contempt, or disrepute… 15 U.S.C. § 1052(a) (§ 2(a)) (emphasis added). I think the focus should be on the word “may” as it is used in the statute. 15 U.S.C. § 2(a). It implies that there is subjectivity as to what may be disparaging. Id. I believe that if Judge Moore’s additional substantial interest test would require further analysis as to whether or not a mark does in fact consist of matter that is disparaging. Id. A substantial interest test would require the applicant to provide evidence that a potentially disparaging name is given a positive context. For example, in this case Tam stated several times that the name “THE SLANTS” would allow the band to embrace their heritage as well and subvert the use of “slant” as an ethnic slurs used to describe the Asian community. Tam also stated that he hoped that other persons of Asian decent would embrace their heritage because of the band’s name. Having this substantial interest test would allow the band to practice its First Amendment right, which extends to commercial speech. Here, Tam’s mark is not intended to be disparaging; it is intended to create a pride in Asian heritage. 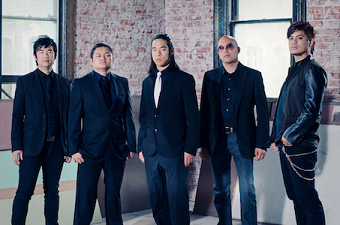 An instance in which a mark would be considered disparaging is if an applicant applied for the name “THE SLANTS” and portrayed Asian heritage in a negative light. Furthermore, I believe that Judge Moore’s analysis of the Central Hudson test supports a substantial test. In this case, the government, as Judge Moore points out, has not submitted any substantial interest that “THE SLANTS” should not be used. Judge Moore further states that the Supreme Court has “consistently held that the fact that protected speech may be offensive to some dose not justify its suppression.” Bolger v. Youngs Drug Prods. Corp., 463 U.S. 60, 71 (1983). The use of the word “may” in the Lanham Act and in the Bolger case supports the fact that perception of a mark is subjective. Therefore, in this instance, I believe Tam’s mark “THE SLANTS” can overcome the disparaging matter hurdle in §2(a) because it places the word “slants” in a positive light, embracing Asian heritage.